Located in Harmonie Park, The Netting Company was built by Conrad J. Netting as a home for his lighting fixture company. 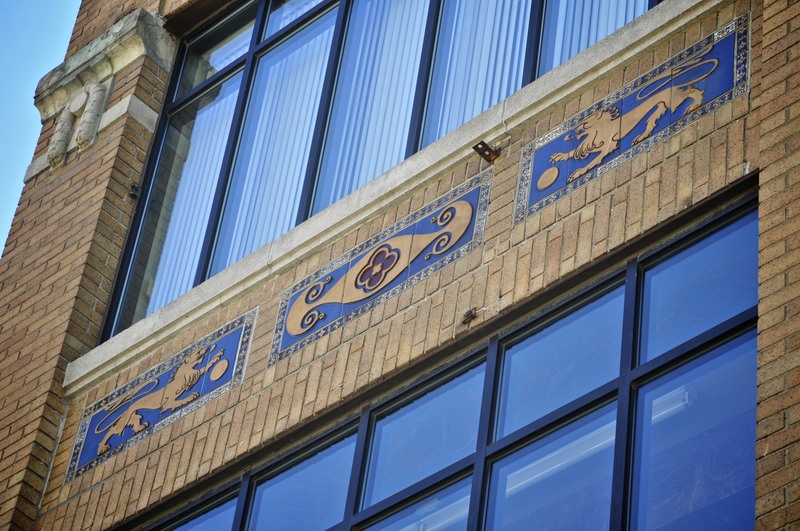 These beautiful tiles are on the exterior and there are two great lion medallions which flank the main entrance. The building’s currently occupied as a cigar shop, and in past years was the home to Harmonie Studios. I have been digging through countless editions of the Michigan Architect and Engineer, and have seen many advertisements for the Netting Company. Additionally, the Netting Company seemed to be “the place” where architects and decorators would visit their showroom and select fixtures for their most exclusive projects.